I am a major hater of beans. All beans face my wrath, but I utterly despise baked beans, despite them being the classic student staple. I thought I hated all foods with similar textures (even though peas are one of my favourite vegetables). I think the fact that peanuts are also legumes scared me a bit. Unsurprisingly, I was shocked to find out I LOVE chickpeas. 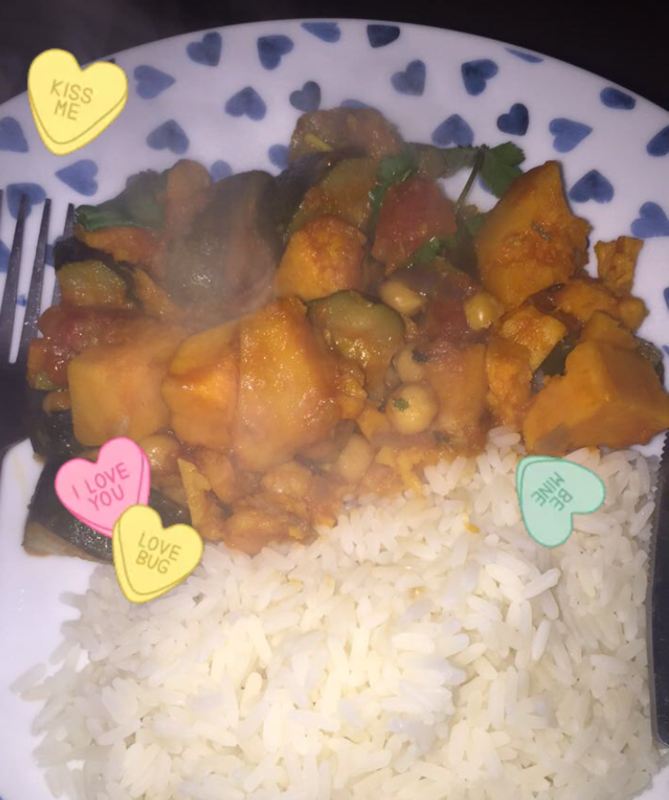 My housemate started my love affair with chickpeas by cooking us all a gorgeous vegan sweet potato, courgette and chickpea tagine. As a sweet potato lover, I had no idea that the chickpeas would be my favourite part of the meal. I still dream about that meal. Since then, I haven’t stopped buying cans of chickpeas. It’s becoming a bit of a problem. At least four times a week, I have my cheaper version of the tagine that started all this. I made a batch of falafels and ate them all in one sitting. It’s likely I’ll turn into a chickpea soon. Send help. I’m quite glad my new obsession is something cheap and healthy, but I do think I should add some variation to my meals. Please send your (chickpea) recipes my way. Fry the spices in a little oil. Add your garlic and vegetables that need to soften and fry for a few minutes. Add your chickpeas, tinned tomatoes, and any remaining vegetables. Cook for at least five minutes, or longer if you want it slightly mushier. Season. Serve with rice, couscous, salad or on its own if you prefer. Also works well with some cheddar cheese or feta sprinkled on top. Taking Control Of Your Student Loan…It’s Not Too Late!